The Kaw Valley Bicycle Club is a non-profit organization whose purpose is to promote a general interest in bicycling for all types of cyclists—tourists, racers, commuters, and casual riders. Our membership is based in Topeka, Kansas. The club takes its name from the Kansas or “Kaw” River flowing through Topeka. Proceeds from our Bruce Whaley Spirit Ride are donated to the Leukemia and Lymphoma Society to benefit patients in our area. We also contribute to other related causes, such as the Topeka Community Cycle Project. KVBC members receive a monthly eNewsletter and discounts on two of our three annual rides—the Capitol Classic and the Cottonwood 200. Members receive discounts on merchandise at two Topeka bike shops–Capp’s Bike Shop and Jerry’s Bike Shop. 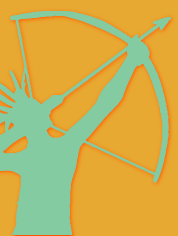 Dues also support the club’s advocacy efforts, such as registering a lobbyist with the Kansas legislature to promote the 3-Foot Law. There are several ways for you to get involved in the club. Become a club member for just $20.00 annually. Follow this link to sign up via PayPal. Volunteer at our rides by contacting us: kvbctopeka@yahoo.com. Run for a Board position. Check out our Board of Directors. 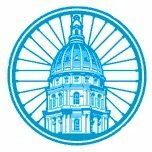 Help us advocate for cycling with the state legislature and city council: kvbctopeka@yahoo.com. Although we’d be grateful to have you as a member, you don’t have to pay dues to participate in our cycling advocacy efforts. You can follow our activities on Facebook. How bicycle friendly is Topeka? The city was named a bronze-level Bicycle Friendly Community in 2016 by the League of American Bicyclists after the efforts of many years of hard work by active community members. We are excited to receive this honor and will continue our efforts to improve cycling in Topeka. You can read the report and recommendations from the League of American Bicyclists here: Topeka Report Card. Kansas’s capital city is an easy place to get around by bike, despite the fact that there are no dedicated bike lanes (yet).The streets are laid out on a grid, and there are plenty of wide, tree-lined residential streets between the arterials. Bicyclists frequently cross paths, even though they’re not riding on marked routes. Besides the city streets, there are two major trails with expansions in the works–the Shunga Trail and the Landon Nature Trail. Check out the Topeka Area Trails here. The city underwent a rigorous process in 2010 to produce a Bikeway Master Plan that will make cycling here even better. The plan was approved in 2012. Please wear a helmet, obey the law, and be safe when you ride. See our summary of Topeka’s Traffic Regulations as they pertain to bicycles. Also check out the Kansas Bicycling Statutes. In 1971, Karl Hummel was the manager of Stephens Cycle, the local Schwinn dealer at 21st and Western in Topeka. Customers of the shop would ask him and owner Sarah Stephens if there was any sort of organized cycling in town. Gene Wansing, a young intern with the city parks department inquired with his boss, Topeka Parks Superintendent Joe Abrahams, who mentioned Phil Menninger’s name. Meanwhile, Phil had been talking to Sarah. So then Gene talked to Karl, and Karl talked to Sarah, which led in turn to Karl getting Gene to meet with Phil. Gene set up a meeting at his apartment at 21st and MacVicar with Karl and Phil late on a spring evening to discuss forming a club. They quickly decided to invite the public to assemble the following week with the purpose of creating a bicycle club. Phil wrote a news release for the city newspapers (the morning Capital and the evening Journal). They also promoted the meeting with a flier at Stephens Cycle and Harding Wheel. On April 22, 1971, a handful of cyclists gathered at Crestview Recreation Center to formally organize a club known as the Topeka Wheelmen. Phil was elected President, Gene as Vice-President, and Karl as Road Captain. Bob Hopkins was elected Secretary-Treasurer. Other charter members were Bill Miller and Sarah Stephens. Dues were collected from those attending, and the club decided to meet on a monthly basis. Its second meeting drew 60 people. The first club ride was held on the first Sunday in May, when 43 cyclists rode from the statehouse to Gage Park where Karl gave the assembled riders a brief talk on common bicycle repairs. The club had grown to 107 members by July. To promote the group, they ordered club patches, which arrived soon after, reading Topeka Wheelman (yes, singular). After selling out the initial order, the club changed its name to the more politically correct and gender-neutral Kaw Valley Bicycle Touring Club. Years later, “Touring” was dropped from the name to reflect the club’s embrace of all types of cycling.